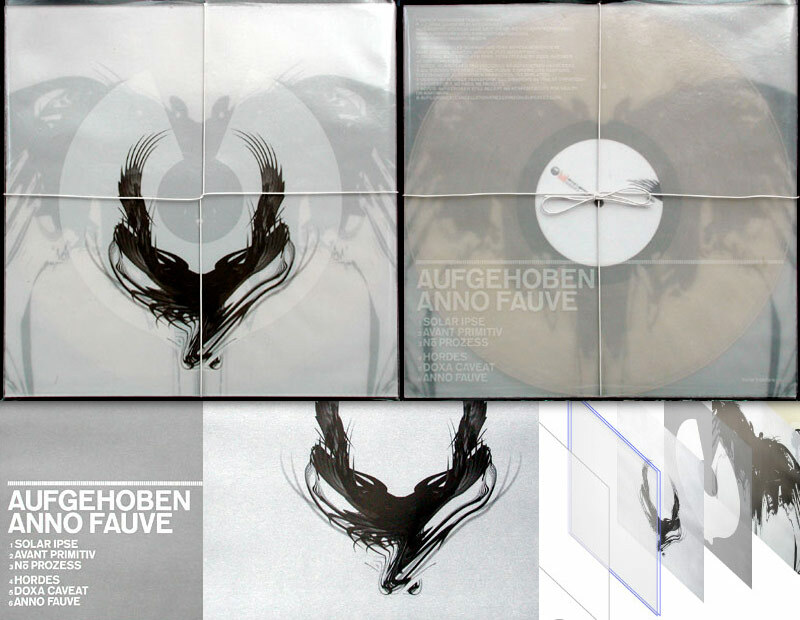 Aufgehoben’s Anno Fauve, the first release on fourier transform records, needed packaging to reflect the heavy music within. The clear vinyl record is sandwiched between two sheets of perspex which also house a multi-layered artwork split across several transparent printed sheets. The whole package is held together with electrical wire and placed into a transparent outer sleeve. The artwork was subsequently showcased in Grafik magazine.